Judo Black belt. Thirty five years 'on the mat' including twenty instructing. Three time New Zealand Judo Champion (-100 kg in 1998 + 100 kg in 2002 and 2004) . Cross-trained and has successfully competed in both Olympic Wrestling and Ju Jitsu. Trained, supported and refereed MMA and submission wrestling. Considerable experience instructing self-defence. 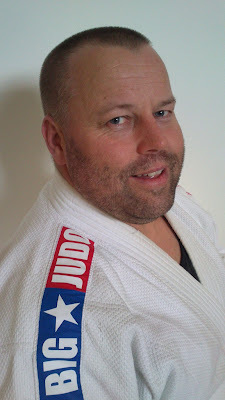 Ben has been President of the Auckland Judo Association. Ben is a father, served overseas in East Timor and the Solomon Islands with the New Zealand Army and has a Masters Degree in Philosophy. Judo Black belt. Thirty five years 'on the mat' including lots of instructing. New Zealand Judo Champion twice (-72kg in 1997- 70 in 2001) . Nellie also medalled three times at the Ocenia Judo Championships and at the Swedish Open. She represented New Zealand at the Manchester Commonwealth Games. She also cross-trained and has successfully competed in Ju Jitsu and submission wrestling. Judo Brown Belt a Big Judo original. Tony has completed his Judo NZ Level 1 Coaching Course and been on the mat for about 15 years. In his spare time Tony is a Dad, plays softball and runs a successful recruitment agency. Tracey has a Brown belt and has been playing Judo since she was six years old. She is part of a formidable Judo dynasty. Tracey and her three sisters have all had strong competitive careers both in New Zealand and internationally. Tracey has also trained with Brazilian Jiu Jitsu and MMA clubs. Tracey is a mum and teaches both kids and adults classes in Pukekohe. Judo Blue belt. Fifteen years 'on the mat'. Geoff has competed competively at regional and national level and has considerable coaching experience in a range of sports including Judo. Geoff is a father, and originally trained as a chef eventually running a number of kitchens before owning his own business. He now works in freight and logistics.